(MoneyWatch) Apple (AAPL) has famously perfect pitch for what customers want. But one key new functional addition to the company's iPhone 5 -- a mapping feature designed by Apple that will replace Google Maps -- seems to have bombed with some influential fans and taste-makers. With the device set to make its official debut in stores on Friday, some are calling Apple's map a "downgrade" from what was previously available on the iPhone through the company's partnership with Google (GOOG). Apple has stopped using Google Maps and also removed the built-in YouTube app from the newest version of its mobile operating system, iOS 6. Mapping is a popular feature, so Apple had prepared its own replacement version. 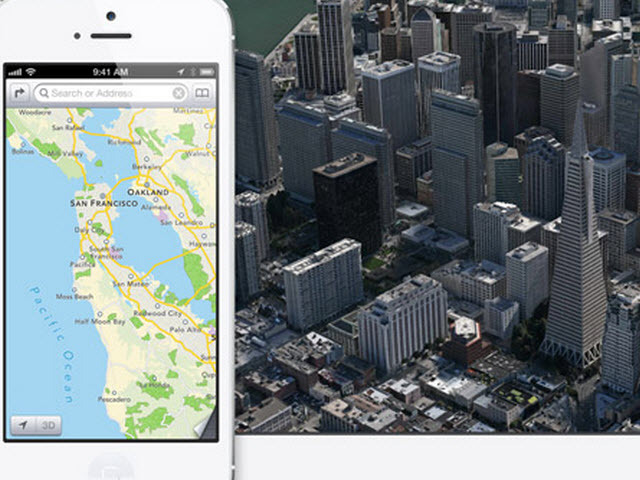 Just one problem: A number of prominent Apple fans are giving thumbs down to Apple maps. The Wall Street Journal's Walter Mossberg, considered by many to be one of the most influential technology writers in the country, called the maps app the "biggest drawback" he found with the software and a "step backward" for the iPhone. Josh Carr, another writer with a long association with Apple topics, noted that while Apple now uses someone else's geographic database rather than Google's, the former isn't as good as the latter. Tech writer and entrepreneur Anil Dash wrote that "Apple's made a new product that actually is pretty but dumb," noting that the map software failed to find a prominent address in Manhattan (That's in New York, not Kansas.) He also complained about the tool's directions for drivers, alluding to a "general level of unreliability that I never recall seeing from Google maps, even when it first launched." John Gruber, who writes the often insightful Apple-oriented Daring Fireball blog, pointed out that it's impossible to know whether Apple decided to kick Google to the curb to own this part of its ecosystem as well, or if Google wanted to renew its license to Apple on terms that were unacceptable to the company. To be sure, the iPhone 5, although not as innovative as some previous models, appears well on the road to being a commercial hit. Yet the early negative returns for its map suggests Apple may have to scramble to improve it, or find another solution altogether. For a company that likes owning as much of its ecosystem as possible, it's important to realize how many modern online services depend on data locked up by a few providers. Licensing deals can be critical for investors. Competitors will also see ownership of such material as a critical competitive advantage. For example, there's a rumor that Amazon (AMZN) may show Google Maps the door on its Kindle devices. Who's left that can license quality mapping data to Amazon? Is AOL, parent of MapQuest, going to see a potential deal? Doubtful. More broadly, there is also the question of whether Apple's standards have slipped of late. The new version of the Mac operating system, Mountain Lion, has shown some problems in battery life on MacBooks, as well as other issues. The previous OS, Snow Leopard, also had some significant issues. And the iPhone 4 had the infamous death-grip antenna problem. Apple has sought to control every aspect of its product design and manufacturing, including hardware and software. But that control is a means to an end -- making better products -- not an end in itself. Although Apple is soaring now, over time such glitches could erode its competitive advantage over rivals.